Dozens of WWII pilots who were lost at sea finally be discovered, over 70 years later. 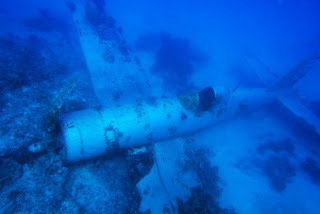 Last year, local spear fishermen diving on Palau’s western barrier reef stumbled upon an entire lost plane. This discovery prompted the creation of the BentProp Project, a team of researcher who believe there could be at least eight additional planes to be found. The fusion of history and technology is downright awesome.